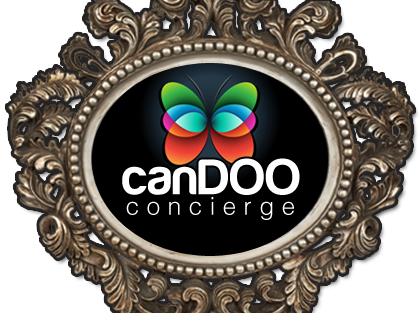 CanDOO Concierge is an award winning family run business, owned and managed by Lisa Forbes, a former Travel and Tourism Industry Marketeer. It was while studying Hospitality Management at University that Lisa dreamt about one day taking the "Concierge Desk" out of the luxury 5* hotel, and bringing it into the home and the workplace. But it wasn't until a couple of years ago that the "Concierge" idea came back to the forefront of her mind. "I was forever clock watching, always rushing from one place to the next; there were never enough hours in the day" says Lisa. "I was struggling to juggle my work, social and domestic responsibilities, I needed help; it was time to revisit my dream..."
Equipped with over 15 years worth of relevant experience, including impeccable World Class Customer Service skills learnt from her time working for Global Market Leader Walt Disney World in Florida; Lisa launched her Personal and Corporate Concierge Service; a solution for today's busy and hectic lifestyle. A perfectionist by nature, Lisa and her team will exceed and delight you with their capabilities. We offer all clients a FREE, no obligation consultation with Lisa. We're happy to discuss any tasks or projects you have, and as our motto says "no task too ordinary, no task too extraordinary, we CanDOO it all". There are no sign up fees and no membership fees. You simply pay for the time you need, or the time it takes us to complete your tasks. We CanDOO "a little", "a lot" or "it all". We have an extensive list of reliable, trustworthy, and highly regarded tradesmen and suppliers we work alongside. It's taken us along time to build up these special relationships, but now that we have, they're an invaluable part of our service to you. You're in safe hands outsourcing your routine responsibilities to us, we're CRB checked, have comprehensive public liability insurance in place, and we operate a "key holding" service agreement.